This is currently the most complete and thorough work on the use of Frixion pens (heat sensitive ink) in magic. At first glance, Stone Frixion Fire plumbs the depths of what can be accomplished with these ingenious pens to entertain your audience. But it goes farther: it cultivates directions in which these pens can take your performing. The effects presented are smooth and very reachable for nearly any performer. Good, solid material all the way around. With the coming of Frixion to America, now is the time to ride the wave. 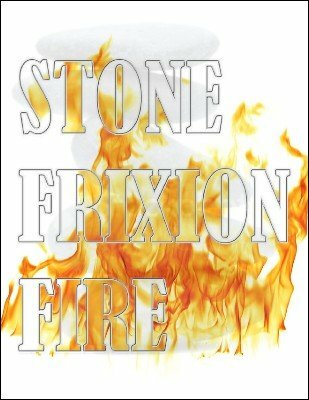 Stone Frixion Fire is the most comprehensive study of this fascinating new tool for magicians. This ebook covers every aspect of the Frixion pen imaginable. From simple things like where to get them and how to conceal their use from the audience to things that you cannot even imagine. For just a couple of bucks at a stationary store, you can purchase a tool that will revolutionize your magic. This may sound like hype to you, but once you read this ebook, you'll see how powerful this is. Imagine making a drawing on a piece of paper come to life, literally. What about turning a picture of money into the real thing visually with no sleight of hand. How 'bout a picture of a scrambled cube that can be examined. This same picture visibly solves itself, no switches. The spectator can keep it. With over 20 effects, ideas and contributions from Wesley James, Brad Gordon, Diamond Jim Davis and more, you will be richly fed with clever and original presentations and performance ideas. Another effect that uses Frixion pens is Evolution by Alan Rorrison. 1st edition 2009; 3rd edition 2010; 96 pages.